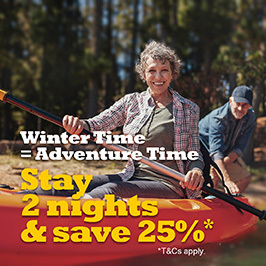 Find out why winter is adventure time at Cohuna Waterfront Holiday Park. Plus, save 25%* when you stay two nights or more. 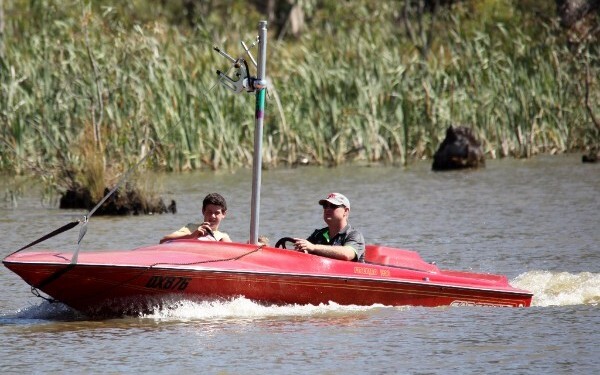 The Murray region offers an array of activities to enjoy in the winter sun. 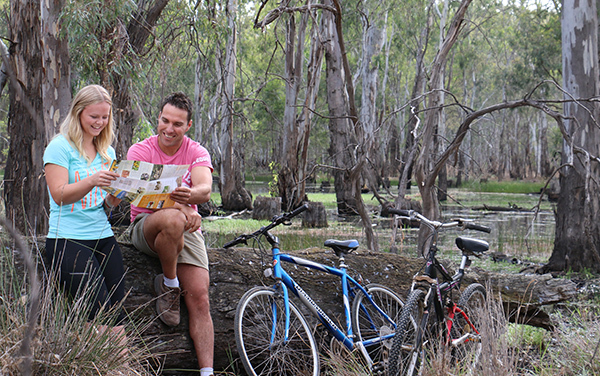 It’s a popular destination for bushwalking and bird watching, or grab a kayak and explore the waterways. And, for the 4WD enthusiast, there are several trails that lead off the scenic drive through the nearby Gunbower National Park. What are you waiting for? Be quick, sale ends 4pm (AEST) 30 June 2017! *Terms and conditions apply. Offer subject to availability and valid on select accommodation types only. Valid for sale until 4pm AEST 30/06/17 and for travel until 21/09/2017. Specific exclusion dates apply. Offer based on a minimum two-night consecutive stay and subject to change without notice. Valid for new bookings only. View full terms and conditions.